Wonderful 1,846+779 Sq. 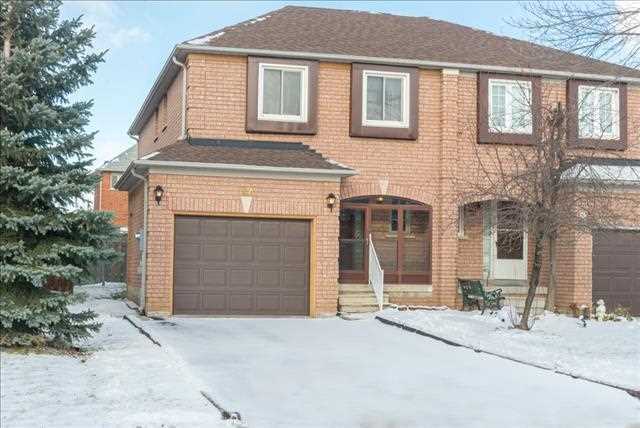 Ft 4+1 Bedroom Home With Finished Basement With Kitchenette, Eat-In Kitchen Renovated in 2010, Master Ensuite Renovated 2014 & Oasis Backyard With Mature Trees & No Homes Directly Behind In Holland Landing Close To Newmarket, GO Train, VIVA Bus And HWY’s 400 & 404. New Carpeting 2016, Dishwasher 2015, Freshly Painted 2016 & Windows 2010. Master Walk-In Closet & Separate Vanity, Multiple Walk-Outs To Rear Deck, Attached 2 Car Garage, Gas Fireplace With Millworked Wood Surround, Ceramic Flooring, Vegetable Garden, Dog Run, Snooker Table, Central Air Conditioning, Central Vacuum, Cold Cellar & Much More! Terrific 7 Year New 3+2 Bedroom Raised Bungalow Sits On a Peaceful 1.1 Acre Treed Lot With Indirect Access To Lake Eugenia, & A Short Drive To Flesherton. Large Eat-In Kitchen Boasts Centre Island Breakfast Bar, Walk-Out To Deck And Plenty Of Oak Cabinetry. Master Bedroom Is Its Own Retreat With W/Out To Deck, Walk-In Closet & 4 Pc Ensuite Bathroom. Large Lookout Windows In Finished Basement, Pellet Stove, Rockery Landscaping, Long Driveway Through Property To Garden Shed, Central Air Conditioning, Washer Dryer New in 2015, Berber Carpet in 2014, Hardwood Floors, And Much More! Fantastic 1847+1351 Sqft Raised Bungalow With 3+2 Bedrooms & In-Law Suite on 1.9 Acres In A Matured Treed Wooded Area In Pine River Estates Located In Everett. Soaring Cathedral Ceilings In Eat-In Kitchen & Open Concept Living & Dining Room. Kitchen Boasts SS Appliances, Plenty Of Cupboard Space Including A Pantry And Large Windows Providing View To The Stunning Rear Yard. In-Law Suite Boasts Another Eat-In Kitchen, Separate Entrance From Garage And Rear Yard, Family Room With Wood Stove, 2 Ample Bedrooms And 3 Pc Washroom. Hardwood Floors, French Doors, Jet Tub, Attached 2 Car Garage &Unfinished Bonus Room Above Garage With Skylight. Private Outdoor Area Has 2 Level Deck, Landscaping & Seating Area With Water Feature. Shingles 2010, Water Softener, Furnace and Central Air Conditioning in 2013, Ceiling Fans, Upgraded Lighting and Much More! Wonderful Semi-Detatched 3 Bedroom 2 Storey 1442+199 Sq. Ft Home With Partly Finished Basement In Brampton. Eat-In Kitchen With Plenty Of Counter Space, Ceramic Tiles & Included Fridge, Stove And Oven. Combined Dining And Family Room With Gas Fireplace, Hardwood Floors And Walk-Out To Rear. Large Single Insulated Garage With Loft Storage, Aluminum Garage Door & Opener. Shingles 2014, New Front Windows, Upgraded Window Drapery, Recreation Room, Enclosed Porch, Fenced Yard. Security System, Water Softener, Upgraded Lighting & Much More! Visit Homes Custom Web Page For Video Narrated 3D Animated Tours, Floor Plans, Pro Photos & More. This Fabulous 2,176 + 1,644 Sq.Ft. 3+2 Bedroom Bungalow With A Walk-Out Basement Is In the Perfect Country Setting With 3.54 Acres Of Rolling Landscape To Enjoy. Also Boasts A 1,440 Sq. Ft. 100 Amp Service Work Shop That’s Half Insulated And Heated With 10’-11” Wide by 10’-4” High Bay Doors. Large Eat-In Kitchen With Centre Island, Jen Air Down-Draft Cook Top & Built In Oven, Pantry, & Walk-Out To Large Deck With Breathtaking Views Of Rolling Property And Magnificent Sunsets. Family Room Is Open Concept To The Kitchen And Features A Gas Fireplace. Large Master With His And Her’s Closets And 4 Piece Ensuite With Corner Jet Tub. The Bright Partly Finished Lower Has Massive Rec Room With Enough Space For Anything Your Heart Desires And Walk-Out To The Patio With Amazing Views And A Corner Wood Stove. Steel Roof New 5 Years Ago ,Cold Cellar, Firewood Storage Space With Fire Wood Port From Attached 2 Car Garage, French Doors, Upgraded Lighting, Van E Air Exchanger, Water Softener And Iron Removal System And More! Wonderful 4+1 Bedroom 2 Storey Detached Home In Brampton With Finished Basement & Separate Entrance With Easy Access To Hwy 427. Open Concept Eat-In Kitchen & Family Room. Large Master With Walk In Closet & 4 Pc Ensuite With Jet Tub. 2nd Floor Laundry, Hardwood Floors, California Shutters, Crown Mounding, Freshly Painted 2014, Upgraded Lighting & Cold Cellar. Fenced Yard With Large Deck, Patterned Concrete Steps, Curbs, Walk-Ways & Much More! 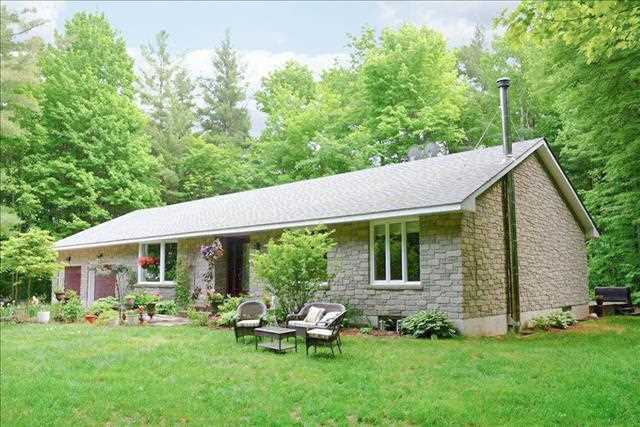 Stunning Bungalow On .76 Acres In Estate Subdivision In Caledon Village With Upgrades Galore. 2,001 + 1,933 Sq.Ft. Of Space, 3+2 Bedrooms Extensively Landscaped Backyard Oasis With In-Ground Pool With Waterfall And Pool House. Finished Basement With Gas Fireplace, Kitchen With Centre Island, Pantry, Stainless Steel Appliances And Walk-Out To Rear. Master With 4 Pc Ensuite, Merbau Hardwood Floors Crown Moulding, Custom California Shutters, Coffered Ceiling & Much More!